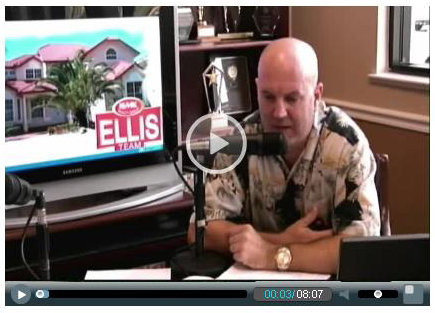 We’re excited to bring you The Future of Real Estate Radio Show now on video. We just aired our first show which will be simulcast today on 3 radio stations along with the video. The advantage to video is we will be able to show graphs and charts as we discuss the market. We did have our first glitch, so the first chart we talked about on the show didn’t actually make it into the show, however we were able to recapture that portion and place it on YouTube. To view the entire show go to Topagent.com To view the 1st segment with the graphs go to our YouTube broadcast. 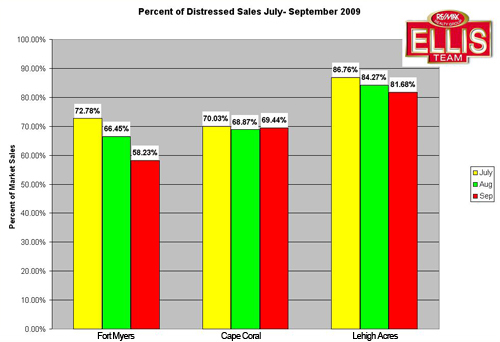 The first segment illustrated graphs of the distressed property market in SW Florida and how that affect the overall market. We look forward to bringing you future broadcasts each week, and improving on the quality. Sorry for the first glitch, but we are real estate agents afterall venturing out into the brave new world of video, and we’ll only get better. 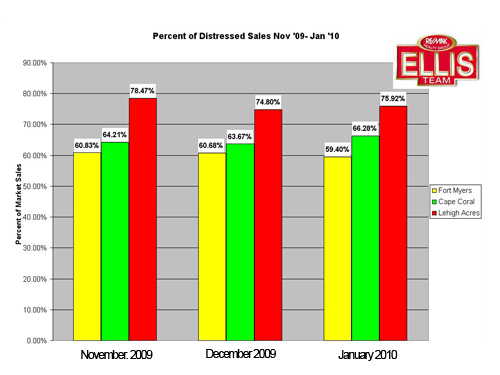 Last year we told you 3rd quarter sales were very strong, which led up to an almost record 4th qtr in 2008. 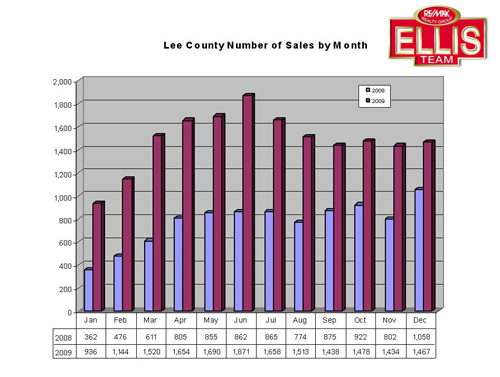 Official numbers are in, and 3rd qtr sales in 2009 blew past last years big numbers and surpassed 2005 record numbers by a mile. To put this in perspective, last years sales numbers were up 72% over 2007 numbers. This year’s numbers were up 109% over last year. 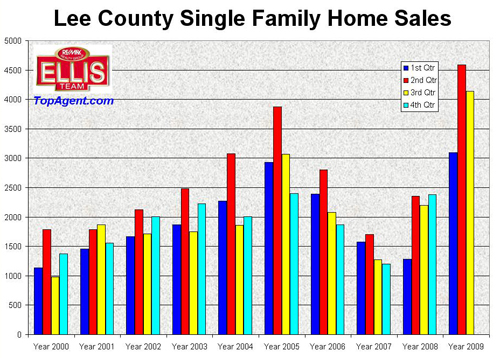 2005 was the biggest sales number year we had ever seen, and 2009 was up 35% over 2005. All you read or hear about is how bad the market is, and there is some truth to what you hear. Rarely though do you hear the whole story, and sales numbers tell a compelling story. Our market has gone through a predictable healing process. It’s a process nobody looked forward to, but sometimes you have to hit bottom before you can go back up. Simply put we had too much inventory and phantom demand. The demand we thought we had was investors flipping to other investors like musical chairs, until one day the music ran out. We had high employment because builders were building at warp speed, and we needed mortgage brokers, closing agents, not to mention appliances, carpet, etc. Then one day when it became apparent the demand was phantom, building stopped as speculators stopped buying from one another. 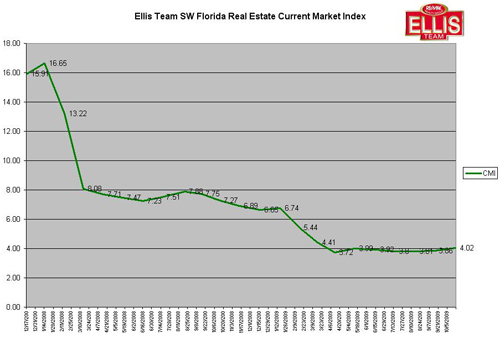 That led to a severe market correction that was inevitable, which further led to job losses throughout SW Florida. These further job losses created a downward spiral, which increased foreclosures from not only investors who walked from deals, but regular people who lost their jobs. The only solution unfortunately was to begin a healing process of selling these homes, which of course was going to be at a price much lower than the high’s of 2005. The prevailing questions were always, how low would prices have to go, and how long would it take. And the answers are related. The higher the prices, the longer the process would take. 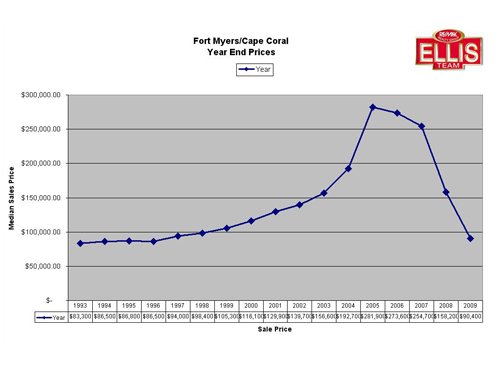 Because SW Florida led the state in price drops, it also led in the healing process. Our prices dropped faster than any other area as evidenced by pricing reports on our website at www.topagent.com under housing statistics. Thus we have set record sales levels even surpassing the 2005 levels. Many people think that because we’re setting record sales levels, prices should rise, and they are partially correct. However, we’re not done yet with the healing process. Prices coming down from unsustainable levels was only the beginning of the process. Prices won’t rise dramatically until we bring back employment to the area. Oh, we’ll see some rising prices as snow-birds flock to the area this season not wanting to miss out on a great deal. This won’t lead to massive price increases though because we still lack a driving economic force, which are jobs. And jobs is not just a SW Florida problem, it’s a nationwide problem. 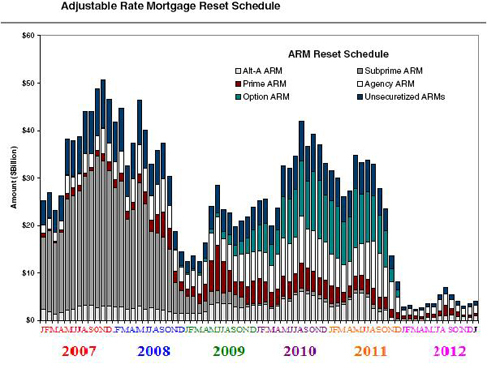 We’ll also see some price increases as less entry level foreclosures enter the market and we swing more to mid and upper tier foreclosure price points. Again, these are just statistical numbers. Median prices may rise, but prices in certain neighborhoods can actually fall due to more foreclosures and distressed sales at higher price points. 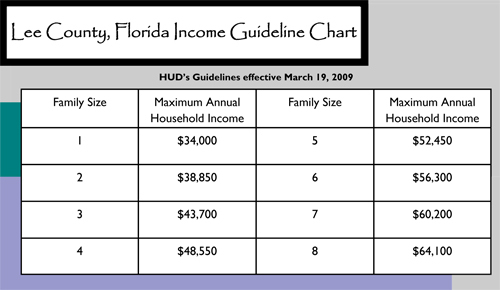 The good news is SW Florida has cleansed itself pretty well comparatively speaking. It’s kind of like a company with lots of inventory in a down economic cycle. The company can place the inventory on sale and blow out the old inventory, and when the economy rebounds that company is well positioned to capitalize as they are not saddled with high inventory coming out of a recession. Our market has done a good job of discounting and selling the inventory. What’s out of our hands is the national economy. We have sunshine and good weather, but we’ve always had that as an advantage. We either need the national economy to improve, or we need to steal some jobs from another city and have them relocate to SW Florida. This may sound bad, but it’s done all the time. GM just relocated some plants from one state over to IN. Indiana’s gain was another state’s loss. So let’s pray the economy gets better soon as it’s good for our real estate market and good for jobs. And if our local leaders have a few tricks up their sleeves to lure businesses to our area it would be great. I think our area has suffered and we deserve some good news. 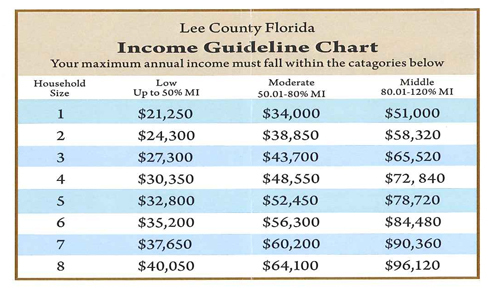 If a company is looking to relocate, it might as well choose SW Florida vs. some other state. It would be good for their employees to move to a nice place like SW Florida where we have a good work force, decent schools, great weather, and wonderful things to do year round. If you’ve ever been cooped up for months during a miserable winter, you know the advantages of living here. So let’s hope our Economic Development Council will be announcing some exciting news soon. We could all use some good news. Until then, let the healing continue.